Nintendo has been told to pay a medical-device maker $10m (£7.75m) after losing a court case over who invented motion-sensing technology. 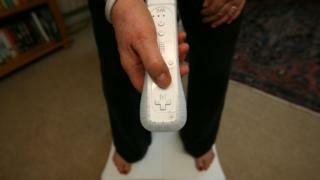 Health technology company iLife sued Nintendo in 2013, saying Wii console controllers used technology it had patented. It originally sought damages of $144m. In court, Nintendo said the technology in iLife's patent was not specific enough to cover the way Nintendo used motion-sensing technology. The row revolves around controllers for both the Wii and Wii U consoles, which are fitted with accelerometers that work out how someone moves their hands while playing. In court documents, iLife said this system of measuring movement was the same as the technology it had developed for monitors that could spot if old people had fallen or babies were at risk of cot death. A jury agreed with this assertion when the case and damages were decided last week. The original claim for damages was based on iLife asking for a royalty of $4 on every one of the 36 million Wii consoles sold in the six years before it launched its legal action. Nintendo said it intended to continue its defence of its own technology in the courts. "Nintendo disagrees with the decision, as Nintendo does not infringe iLife's patent and the patent is invalid," it said in a statement. It added: "Nintendo looks forward to raising those issues with the district court and with the court of appeals."